Note:- Subject to change and feature is available during my testing using Windows Server Developer Preview Edition. I always wonder how many throughput does a Virtual Machine consume when running in Hyper-V Host. Not always we dedicate a NIC for a Virtual Machine. For better consolidation, we always share several Virtual machine within a 1 Gbps NIC. Let say, you have 4 Virtual Machines running and share on 1 Gbps NIC. Will each Virtual Machine consume and limited to 250 Mbps? Well not really. Some VM will consume more throughput than 250 Mbps and will eventually impact the performance for the rest of the VM. This is what i found out when testing Hyper-V Vnext which seem like solving this case. 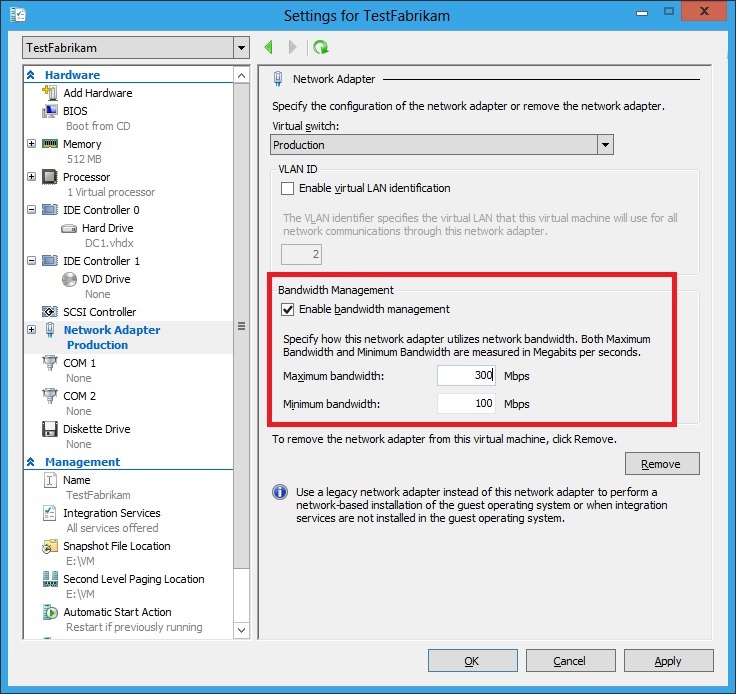 On Virtual Network, you can configure to set minimum and maximum throughput per Mbps on each virtual machine. 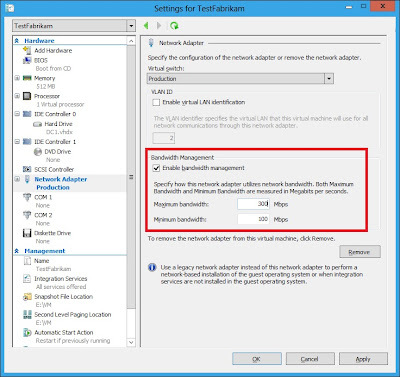 Great right…I’m excited to wait this feature available on next release of Hyper-V.